"Damn," she mutters to herself, "I needed that to be twelve." 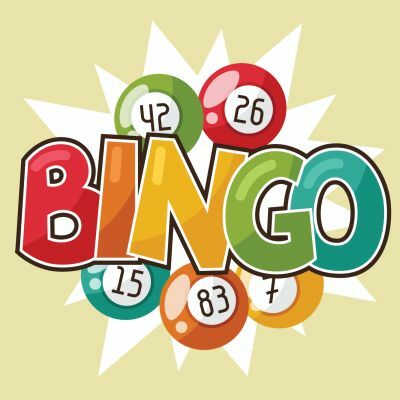 Bingo is a simple numbers game in which a player has a card, or multiple cards, with the letters B-I-N-G-O corresponding to the numbers 1-15, 16-30, 31-45, 46-60 and 61-75, respectively. A player wins by completing a Line or a Pattern, depending on whether the game calls for a pattern to be completed or a simple line. In most Bingo games, the last game of the session is a, "Cover All," in which case a player wins by getting every single number on the Bingo card. The players are essentially in a race to be the first to complete the Line/Pattern, and when one or more players have successfully done that, they call out, 'BINGO,' and the prize for that particular game is distributed according to how many people made a valid BINGO call. The origin of the game is one called, 'Lo Giuoco del Lotto D'Italia,' which is actually still played and has been played since about 1530. The original game remains a lottery game in the country of Italy and the drawing takes place every Saturday. The game translates directly to, 'The Clearance of the Lot in Italy,' The original game resembles a traditional lottery more closely than it does the game of Bingo that you might be used to. In the Italian game, there are ninety balls per wheel and ten wheels representing cities as well as a National wheel. Therefore, the Expected Loss on this wager is .37578 units per unit bet for a House Edge of 37.578%. While still certainly an abysmal House Edge, this one is certainly at least a little more palatable than eating 63.824%. As expected, this House Edge follows the general rule that the longer shot type bets have a greater House Edge than do the ones that are at least closer to even money bets. ***As a side note, the reason that I am using profits of 4249 and 249 is because I am assuming that the original wager is presumed lost. In other words, the player, 'Wins,' 4250 and 250, respectively, but the player is not returned his/her original wager in addition to those wins, and as a result, is effectively only winning 4249 and 249. We can see that the Italian Lottery game much more closely resembles a Keno game than the Bingo game that most of us are familiar with. Among other things, the Bingo that we are used to is primarily a player-vs.-player game in which the House (or Bingo Hall) simply takes a vig (cut of all the money bet). In a zero-expectation Bingo game, there would be no vig and players would continue to pay the same amount of money for their cards. Players could still play as many cards as they wished because that improves the probability of winning but would not diminish the expected value per card. For example, not including ties, if one player bought nine cards and a second player bought one card and they were the only two playing, the first player could be presumed to have a 90% chance of winning and that is also how much money that the player has staked. To a certain Hugh J. Ward who, 'Invented,' the game in the early-20's, operated it at Pittsburgh carnivals, took it nationwide in 1924 and secured a copyright on the game and wrote a book on the Rules in 1933. Unfortunately, the above account of events is widely disputed. There is almost no question that Hugh J. Ward operated his version of Bingo, called, 'Beano,' because beans were used as markers, throughout the 1920's in Pittsburgh and nationwide. However, it was apparently Edwin S. Lowe who copyrighted the word, 'Bingo,' and wrote the book on the game in 1933. However, the patent claim does mention that the Bingo sheet is, "Embodying my new design," so there is a reasonably good chance that he had an earlier patent on Bingo. Once again, the version of Bingo that we are used to today effectively started in the United States and is actually only loosely based on the Italian Lottery game that spread throughout Europe after starting in France. The original game of the Italian Lottery was more closely related to Keno than it was to Bingo and actually resembles the Rules of other Lottery drawings that are popular today. The key difference is drawn number lottery games in the United States is that multiple winning combinations, while possible, are usually consolidated into the one ticket that a player buys. For instance, a player does not necessarily need every number plus the Powerball number in order to win anything on a Powerball game, but all other winning possibilities (ex. two numbers + Powerball) are incorporated into the one Powerball ticket that a player buys rather than a player buying different tickets for different combinations for the drawing. What we do notice from the above patents is that Bingo has remained relatively the same since its inception in its current form, with respect to how the Letters and Numbers relate to one another. While Bingo is undoubtedly a Gambling game, it does not tend to carry the stigmata that is associated with other forms of gambling. For instance, Bingo remains a staple of many County Fairs and Carnivals throughout the United States and children are often allowed to play provided they understand the Rules and have some quarters. I personally remember playing Bingo at the age of about ten and beyond in the town fair in the towns in and near the one in which I grew up! Furthermore, Bingo enjoys a close association with fundraising, a Google Search for, "Firehall Bingo," will return hundreds of thousands of results the foremost of which (if Google knows your location) will include links to Bingo schedules for Fire Departments in your area if you live in the United States and are not in one of the few States (such as Hawaii) in which Bingo is illegal, even for fundraising purposes. Bingo has become so socially acceptable (in most States) that many Elementary schools throughout the country hold, 'Bingo nights,' though those are obviously not for the students, but are done as a means of fundraising. 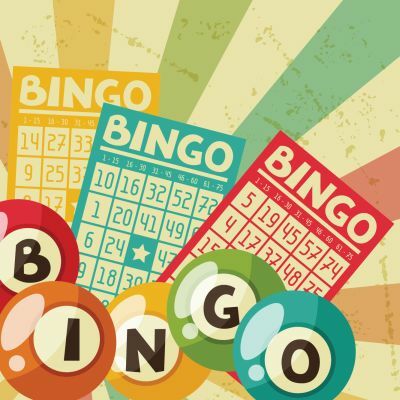 In addition to that, Bingo events often take place at Jewish Synagogues and Catholic Churches during times that other Church events are not taking place. Whether it be Bingo Halls proper, casinos, churches, schools or fire halls, the game of Bingo has evolved into something that many people (some of whom would adamantly state they would never enter a casino...and even some who say, 'I don't gamble!') consider more of a social event than a mere gambling game. According to the above-linked Article, Texas winners are required to pay five percent of their profits in taxes that go to the State's general fund, and in 2014, the amount that was paid to the State in taxes actually exceeded the amount that was donated to charities. 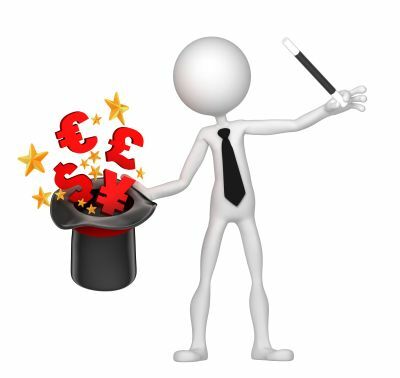 The reason that Bingo is not a guaranteed money-maker is the same as the reason why a casino is not a guaranteed money-maker. As with any other endeavor, Bingo has operating expenses including, but not limited to: paying employees, (sometimes) the Bingo cards themselves, and A/V equipment that is bought to facilitate easier play of the game and the holder of the game does not necessarily own the venue at which the game is being played, and therefore, have to pay rent fees accordingly. Furthermore, while offering a substantial amount of the money used to purchase the Bingo cards, (the Article above cites some Bingo Halls were offering as high as a 90% return) will certainly increase the number of players, so would offering 100% of the money (or more) and the only thing that would happen is the Bingo event would lose money to the tune of 100% of its expenses. As we can clearly see, Bingo events, even for charitable purposes, need to be run like a business as any other would be. It is no surprise, then, that as the Internet grew in popularity that the game of Bingo would spread Online, and indeed, there are any number of Bingo sites (and sites that primarily focus on other games) in which Bingo can be played for either fun or profit depending on the site. The Rules of Online Bingo are generally the same as either the United States version (75 balls) or the United Kingdom (90 balls, cards have nine columns and three rows) version of the game. There are, however, a few key differences. In almost every case, Online Bingo is operated by a random number generator as opposed to someone physically drawing numbers out of a hopper and calling them. Furthermore, while this may vary from location to location, due to the low costs associated with offering each particular game, Online Bingo can generally offer cheaper cards to low-limit players while still taking a smaller vig than many physical Bingo operators do. In addition to that, Online Bingo can often be played with unique (and, sometimes changing as the game goes) patterns that a player's card need achieve, while theoretically possible, many of these patterns would be extremely difficult to implement in a Live Bingo game and to attempt to do so would likely result in a number of erroneous Bingo calls. It was cited that, due largely to onerous tax rates (that have since been changed) the number of Bingo Halls plummeted from almost 600 in 2005 to fewer than 400 in the year of 2014. Furthermore, the Independent Article suggests that the U.K. smoking ban may have also hurt the Bingo Halls because, as with many other forms of gambling, smoking and Bingo often go hand-in-hand. While the Article by the Independent does not specifically mention Online Casinos, those players who enjoy both Bingo and smoking can certainly smoke at home, and with the kind of yields that Online Bingo demonstrated comparing 2009 to 2013, it can certainly be surmised that the game itself is not losing any popularity. Therefore, the conclusion I am forced to draw is that not all of the Online Bingo money is what I will term, 'New Bingo Money,' but that some of it is simply money that had been spent on Live Bingo that is being spent on Online Bingo instead. The Article also cites that seventeen Bingo Halls closed in 2013 compared to only one that opened. That actually benefits the Rank Group and groups such as Gala Coral who got to essentially have their cake and eat it too! In 2014, the tax rate on Bingo Revenues was reduced to 10% when it had previously been 20% as these operators (and others) suggested that many Bingo Halls would no longer be viable unless the tax rate was reduced. In the meantime, these companies also own/operate Online Bingo outlets which, presumably, have enjoyed the increase in yields that has been enjoyed by the United Kingdom as a whole. While it is true that not ALL of these Online Bingo proceeds can be attributed to declines in the yields of Land-Based Bingo in Great Britain, certainly some of them are. Therefore, it can actually be said that these Bingo operators are essentially taking business from themselves via Online Bingo, but then using the declines in Live Bingo (that their Online Bingo sites are partially responsible for) to argue in favor of a lower Tax Rate on the Live Bingo Hall revenues, which was granted! It may be possible that this simple numbers game that has evolved into its current form, but has remained fundamentally the same for nearly a century will eventually reach its peak and begin to decline, but it remains an extremely popular game in both North America and the United Kingdom alike, and the availability of Online Bingo may serve to spread it other parts of the world still. In the meantime, it certainly remains a staple even in its Live form with Bingo Halls spread throughout the U.K. and various Bingo Halls and Bingo Nights for charities in the United States. When we take into consideration Online Bingo proceeds compared to Live Bingo proceeds, there is no conclusion other than Bingo in its current form has maintained a significant portion of its popularity throughout the last several decades. What originally started as something more akin to Keno, which remains an extremely popular casino game, in both Live and Video Keno forms in its own right, has evolved into something that persists to this day. In fact, it can even be said that even Bingo in its Online form has remained something of a social game as most Online Bingo operators have active, 'Chat,' sections on the bottom of the game page in which players chatter about the game itself as well as general talk. That should come as no surprise as the modern form of the game stemmed from County Fairs and Carnivals which, at the time, were unique social gatherings that happened somewhat infrequently. Bingo, in that sense, remains a game that is as much about the player interaction as it is about the gambling component.